We’re still more than a month away from the sweaty, pulsating release of Magic Mike XXL, the totally unnecessary but more-than-welcome sequel to Channing Tatum’s 2012 box office smash. While we’ve seen a few trailers and posters, the marketing team for this film has done a wonderful job of keeping a cod piece on the film’s most potentially wonderful moments, even if women were probably already losing their minds watching C-Tates bump and grind a piece of metal in his workshop, while Joe Manganiello ejaculated bottled water all over a convenience store. Yesterday, our boy C-Tates revealed the latest poster for Magic Mike XXL, and I had some thoughts about this absurd showcase of shameless shirtlessness. 1. Is Adam Rodriguez showing respect and big ups to God for helping him succeed at male stripping, like when baseball players point to heaven after they reach base? That’s pretty cool of him. Athletes make it seem like God only cares about sports, so maybe Ad-Rod is telling us that the LAAAAAAAAAAAWBREAKERS up in heaven are having a little fun, too. 2. I kind of hate Matt Bomer. Okay, maybe hate is too strong of a word, and what I’m really saying is that I’m incredibly jealous of how absurdly good looking this man is. I don’t understand the first thing about genetics, but it’s just entirely unfair that one man can look like this and another can look like Clint Howard. 3. What if Mike is “Magic” because he has the power to fly while he’s stripping for women? Or maybe he doesn’t necessarily fly, but he can propel himself through the air over a specific distance with magical hip thrusts? I know C-Tates calls XXL “one last show,” but that idea is great for Magic Mike: Triple Dicked and probably way more exciting than him as Gambit. Unless maybe Gambit shoots his energized playing cards with pelvic thrusts. 4. I’m starting to think that Joe Manganiello really is a werewolf because he’s just a big, hunky freak of nature. If he and Bomer were a WWE tag team, they’d be Hard Body and Handsome, and we’d all hate them because it’s just not fair. 5. 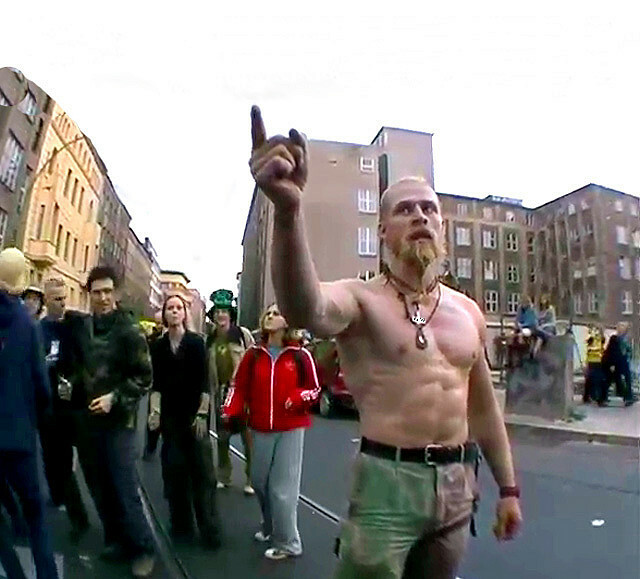 When did Kevin Nash become the Techno Viking? If only we could turn back time and make that his original WWF gimmick. What a time that could have been.